Hi everyone, Ulta Beauty Collection Deals & New Style Korean K-Beauty Box #04 and Dermstore BeautyFIX July 2018! Ulta (NEW) 5x multiplier on Ulta Beauty Collection brand, ends 7/14. This post may contain affiliate links. Read the full disclosure. *VERY HOT* FIVE HUGE luxe beauty gift sets at Nordstrom – Korean beauty gift, Haircare gift, Space NK gift and More!!! Monday’s Best Luxury Beauty Bonus is at our dear Nordstrom! First time ever, free Nordstrom Korean Beauty gift bag with your $65 K-beauty purchase. Plus, beautiful 15pc haircare sample bag + 14pc Space NK deluxe sample bag. Not yet, the best part, you’ll score a huge 20pc gift with only $88 beauty purchase. Yass, five free gift bags!!! NORDSTROM (NEW) GIFT 1: With your $65 purchase from selected Korean beauty brands, receive a free 9pc K-beauty gift bag! This post may contain affiliate links. Read the full disclosure. My Korean Beauty Haul from Memebox and Where do you shop your K-beauty? From beginner to expert: where you buy Korean and Asian beauty products in US? Tell us your favorite stores and your experiences in the comment below. A question from our reader DL. Do you know of other UK-based retailers that subtract the EU sales tax for those that reside outside the UK like Cult Beauty? Please do share. I purchased these four items at Memebox during the sale. This is my Memebox haul. This post may contain affiliate links. Read the full disclosure. It’s here – Memebox Doorbusters Beauty Event 2017! HOT, NEW and Exclusive 7pc Lancome Gift with Purchase with $39.50 Purchase ($158 value) + Step-up gifts + 30pc gift bag at Lord and Taylor. Plus, Ulta 5pc Beauty Break, 21 Days of Beauty and free deluxe samples! Lord & Taylor (NEW) GIFT 1: EXCLUSIVELY OURS! FREE 7-PIECE GIFT Your with any $39.50 Lancome purchase (Gift Value: up to $158). UPDATE: I was just added a La Roche Posay sample below. This post may contain affiliate links. Read the full disclosure. When I was in Korea, there were big shelves of interesting tools. I’m honestly not sure what it all was. I didn’t purchase anything much from there because it was too big to fit in my suitcase. When I came across this Nooni Intro Kit at Memebox, I grabbed it right away. Below is my experience with the NOONI Mashmallow whip maker and the rest of the set. UPDATE: Memebox (NEW) runs Spring Clean Sale on Sale 2017 – receive an extra 25% off all sale items use code EXTRA25, ends 3/28. This post may contain affiliate links. Read the full disclosure. 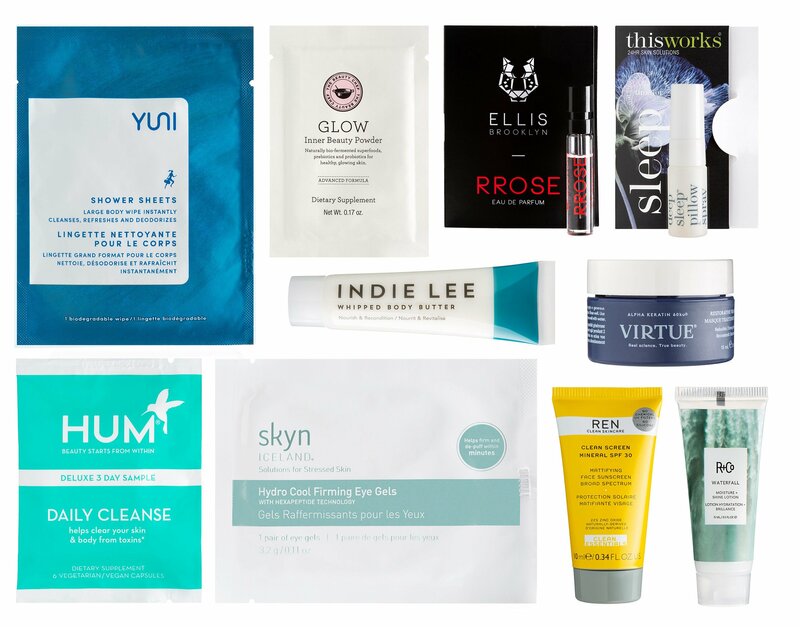 This weekend you can score new sample bag at Skinstore 20 Years of Beauty, Space NK UK is having a new Mother’s Day gift page, Cult Beauty UK add a new free Caudalie starter set gift with purchase and 10 new gifts, Memebox is offering up a new Master Box and Ulta 21 Days of Beauty 2017 Preview is live. Skinstore.com (NEW) Spend $89 or more you will receive a free Beauty Bag packed with 6 beauty treats, worth $49! Use code: PARTY or BDAY. This post may contain affiliate links. Read the full disclosure. Nordstrom – new La Mer purchase with purchase is arrived, plus, you can score a free $164 value beauty spring gift including a FOREO LUNA play Facial Cleansing Brush with your $150 purchase. Plus, hot beauty offers from Saks, Lancome, Beauty Brands, Memebox, Lord & Taylor, Sigma beauty mystery hauls ($15) and more. NORDSTROM (NEW) La Mer Beauty Beyond Skin Care Collection (Purchase with La Mer Foundation Purchase) $170 ($225 value). This post may contain affiliate links. Read the full disclosure. New full-size gift to go with the Macy’s spring Estee Lauder gift with purchase! MAC new arrivals at Nordstroms + 11pc free bonus! Memebox March Doorbusters 2017 is live. Barneys New York gift with purchase page is now fully stock with Brand-new 25 gift with purchase including 5pc La Mer , 6pc YSL, 4pc NARS, 7pc Armani. Just in: first Lancome skincare purchase with purchase 2017! Plus, a very long gift with purchase updates for you! NORDSTROM (NEW) Just in today: 5 new MAC palettes + new MAC spring collection and 4 new Lancome Sets. (NEW) See top beauty brands with exclusive new arrivals at Nordstrom! This post may contain affiliate links. Read the full disclosure. I rounded up the new early Presidents Day Sales 2017 from all my favorite beauty retailers. Hurry for new mystery bags, mask sets, clearance, beauty samplers, free gifts, full size bonus and much more. They are from Nordstrom, Lancome, ASOS, Bluemercury, Kate Somerville, Memebox and more. Amazon (NEW)(VERY HOT) Free shipping threshold is now $35 (was $49) for all non-prime members! This post may contain affiliate links. Read the full disclosure. Nordstrom is giving us a sneak peek of their upcoming K-Beauty Pop-In Shop! Too Faced Sweet Peach Palette is coming soon @Sephora Reward Bazaar. I will also list three new limited edition beauty boxes just arrived today at Memebox, Too Faced Cosmetics and QVC! NORDSTROM (NEW)(Upcoming)(HOT) KBeauty Pop in at Nordstrom is coming 2/10 – 3/26! See the sneak peek here. This post may contain affiliate links. Read the full disclosure.